Last Friday in London, Orla Muldoon, Chief Counsel EIMEA & Asia for Archer Daniels Midland (a Fortune 50 company) gave us a very generous, engaging, entertaining and inspiring Talk. 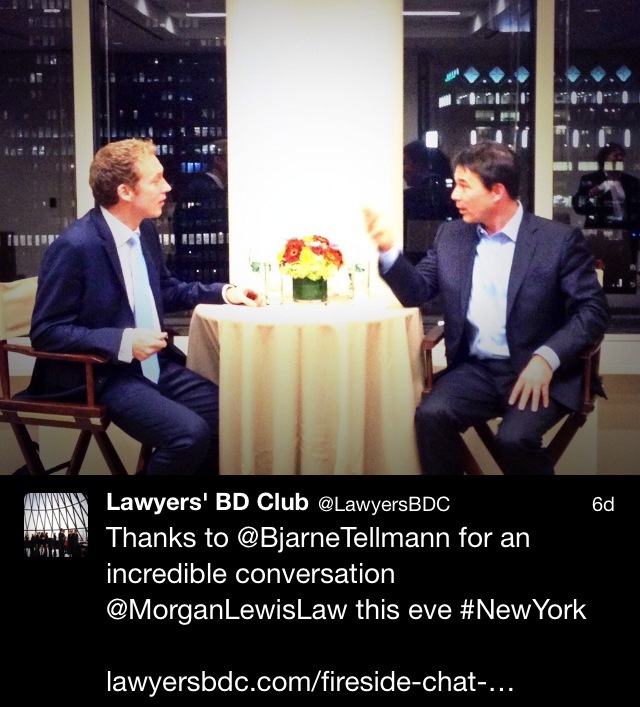 My thanks Keltie LLP (official partner of the London chapter of the LBDC | Lawyers’ Business Development Club | for generously sponsoring and hosting of our exclusive guest speaker breakfast event at their stunning offices overlooking London Bridge. Orla Muldoon, Chief Counsel EMEIA and Asia for Archer Daniels Midland, leads the legal function for the global food processing and commodities trading giant across Europe, Middle East, India, Africa and Asia. She is also a member of the ADM EMEA business management team. Orla has an extensive background in the European FMCG and Food sectors having joined ADM in January 2014 after 7 years as Chief Counsel for Kellogg Europe, as well as having previously held in-house counsel positions with Coca-Cola and Diageo. 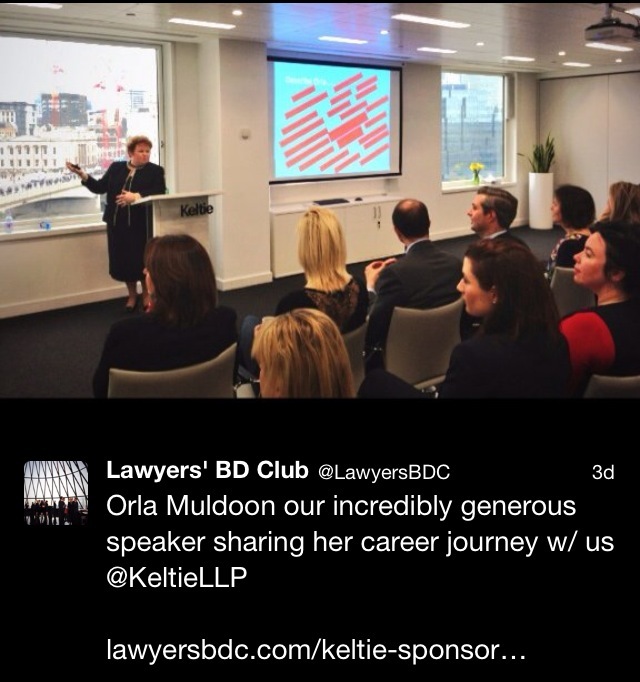 She has also 7 years’ experience at two of Ireland’s largest law firms, Matheson and McCann FitzGerald. Orla started her career as a lecturer in law at University College Dublin, Ireland. A frequent speaker at international legal conferences in Europe and the US, Orla is considered a thought-leader on the interaction between law firms and in-house legal departments as well as on the scope and role of the General Counsel. She was interviewed for “The Influential GC” report by Nabarro in 2012 and she was a member of the Judging panel for the annual British Legal Awards 2011 – 2014. Orla is licensed to practice law in England and Wales, Ireland and New York. Orla is based in Switzerland, is married and has three sons. Keltie is one of the most respected patent and trade mark attorney firms in Europe. It works closely with law firms to assist them and their clients with patent, trade mark and design matters, including securing IP protection and advising on contentious issues and transactional matters. Keltie is celebrated for its award-winning, visionary approach to looking after its people. Its growth has also been fuelled by a reputation for commercial advice, excellent service and progressive thinking. In a profession that exists to protect creativity, Keltie stands out as one of the world’s most innovative practices.